Curtains are a beautiful accent to any room. I have a difficult time falling asleep when it’s too light outside. I wanted some curtains that were darker and would help reduce the light in the room as well as bring a gorgeous touch to the room decor. These curtains did just that. 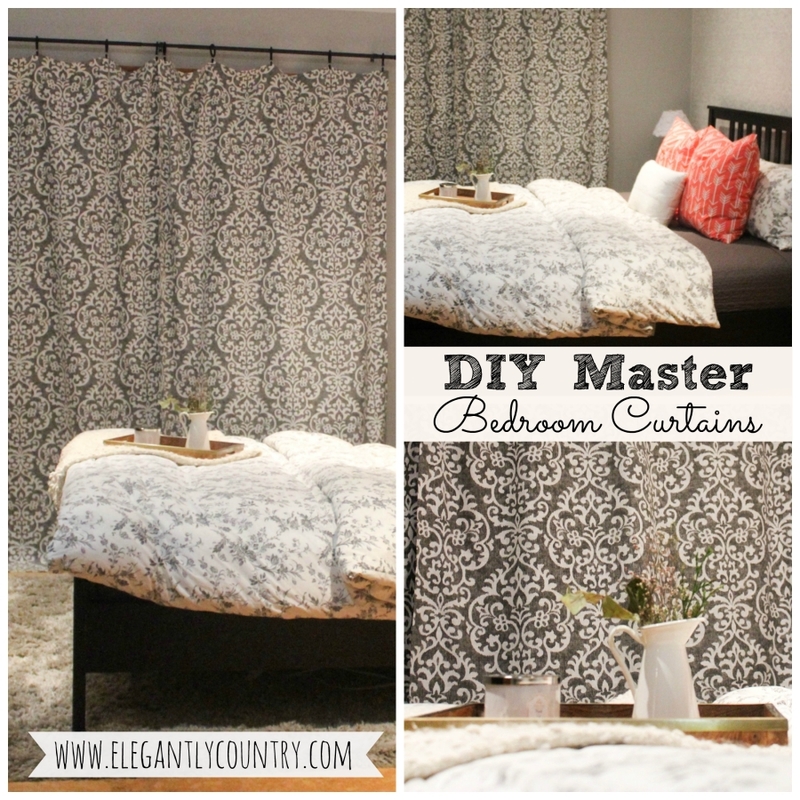 Start creating your DIY master bedroom curtains today. First, to begin making your DIY master bedroom curtains measure the height of your window by going up above the window to elongate the ceiling height and then add extra length to the fabric at the bottom allowing the fabric to pool giving it an elegant look. Then for the width, I decided to keep the fabric width at 54″ and planned to lose 4 inches when ironing and sewing the fabric to 50″. The fabric ended up being about 10″-11″ wider than the window which allowed for the natural folding and flow of the fabric so it didn’t have to be perfectly straight and it still covered the entire window. There are 36 inches in one yard of fabric, so take your length in inches and divide it by 36 to get the number of yards you will need. The average width of fabric is normally 45″, 54″ or 60″. 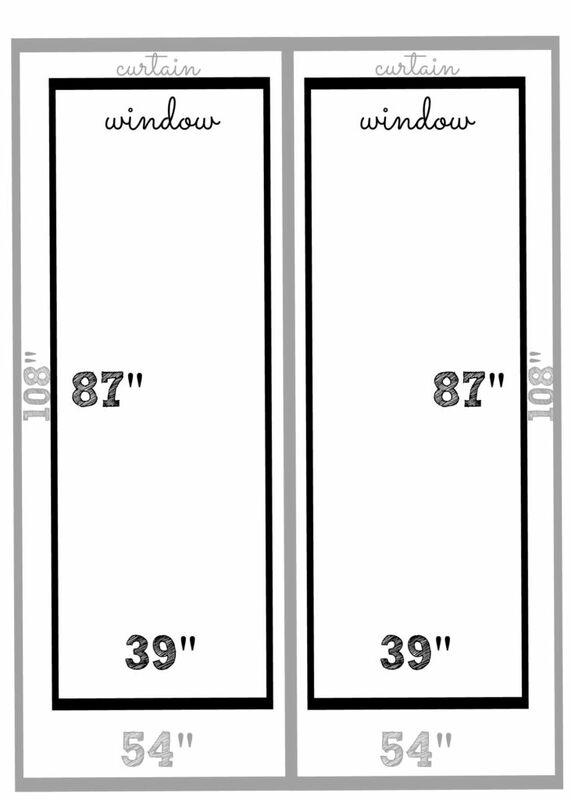 Be sure to check that the width of the fabric you choose is wide enough for one half of the window. 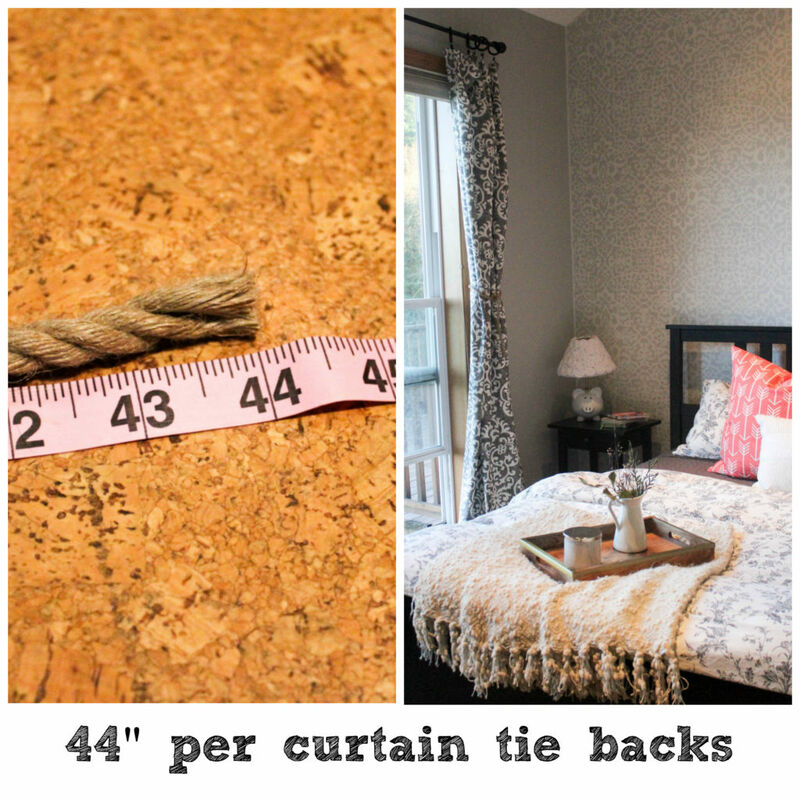 Be sure to double the length in order to make 2 curtains. Once you have your measurements add 3/4 an inch to all four sides of the fabric allowing for ironing the fabric. 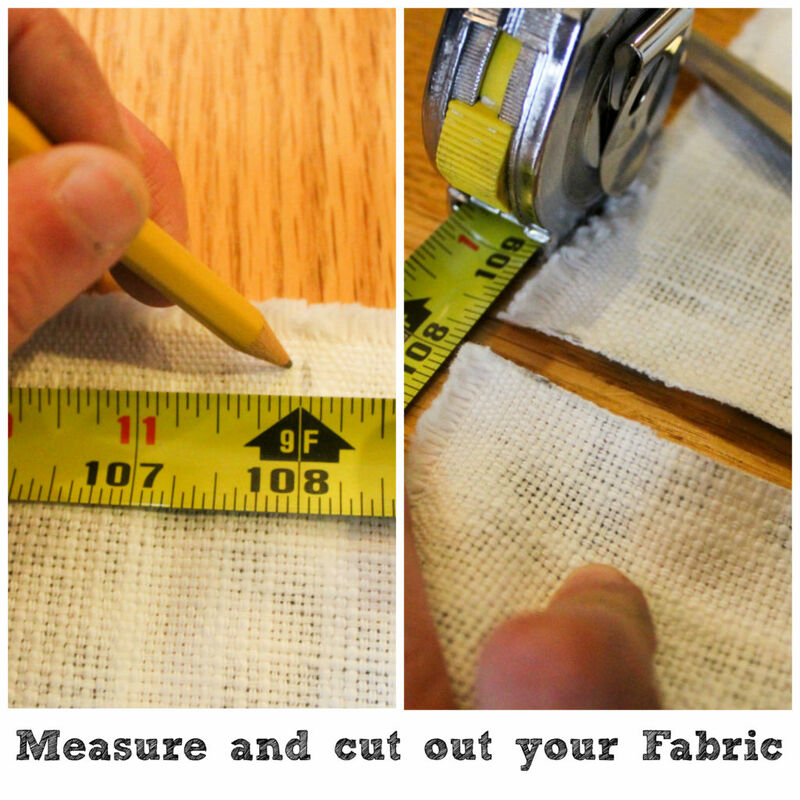 Take your measurements plus the additional 3/4 an inch to all sides and mark with a pencil on the back side of your fabric. Then cut the fabric out. 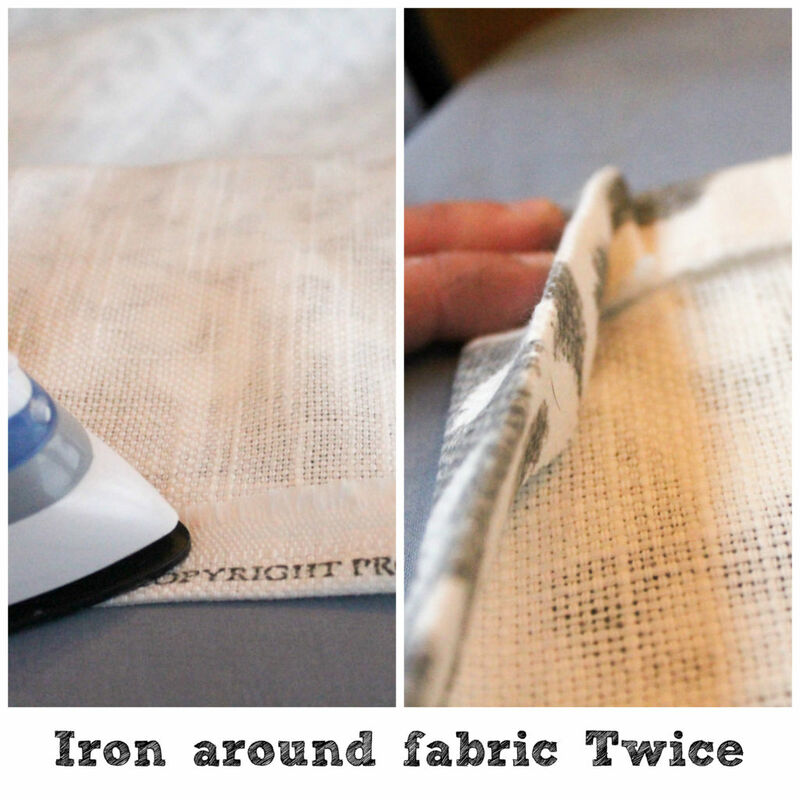 Place the fabric on the ironing board with the back side facing upward. 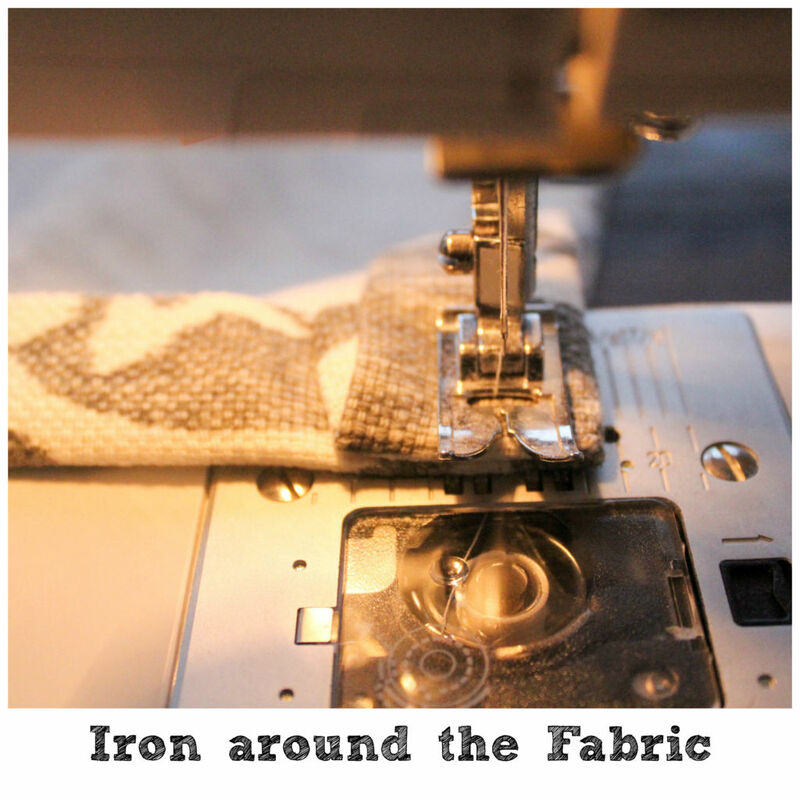 Fold the fabric 3/4 an inch inward and iron it down. Do this all the way around the fabric. Then fold the fabric again 3/4 an inch and iron it down. 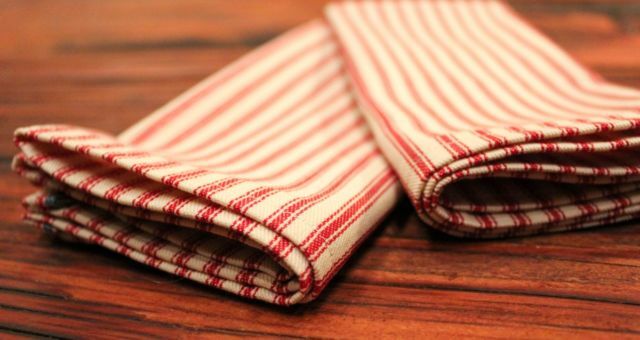 Do this to both pieces of fabric. Sew both pieces of fabric with the backside facing up all the way around. When finished ironing the fabric to make it ready to be hung. We had an old curtain rod from our old place that was silver. 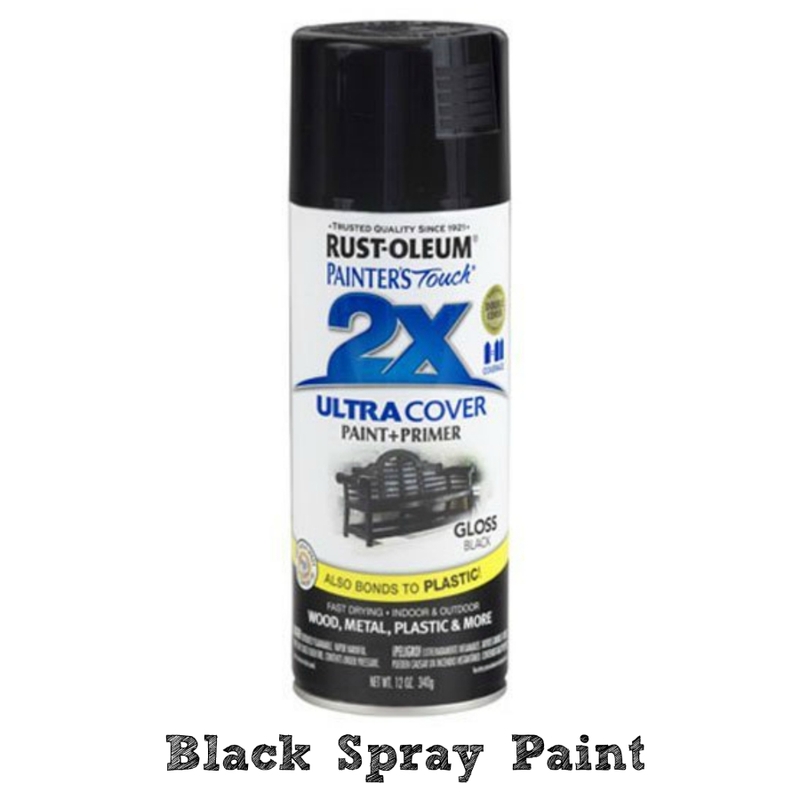 I didn’t want the new curtain to be silver so I spray painted the rod with black spray paint. If you don’t have an old rod you could always buy one at Goodwill and then spray paint it. 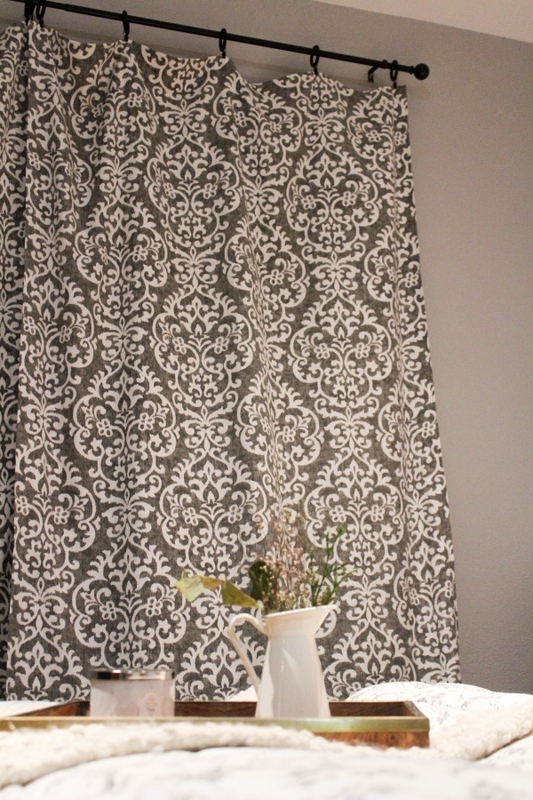 Or if you want to purchase one here is a similar curtain rod matching the one in the master bathroom. 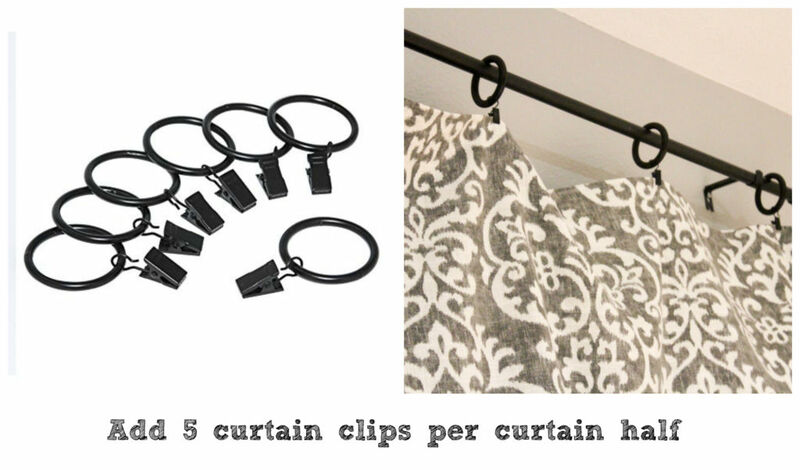 Add the curtain clips to your fabric. Then string them onto your curtain rod. For my curtain tie back I used rope. 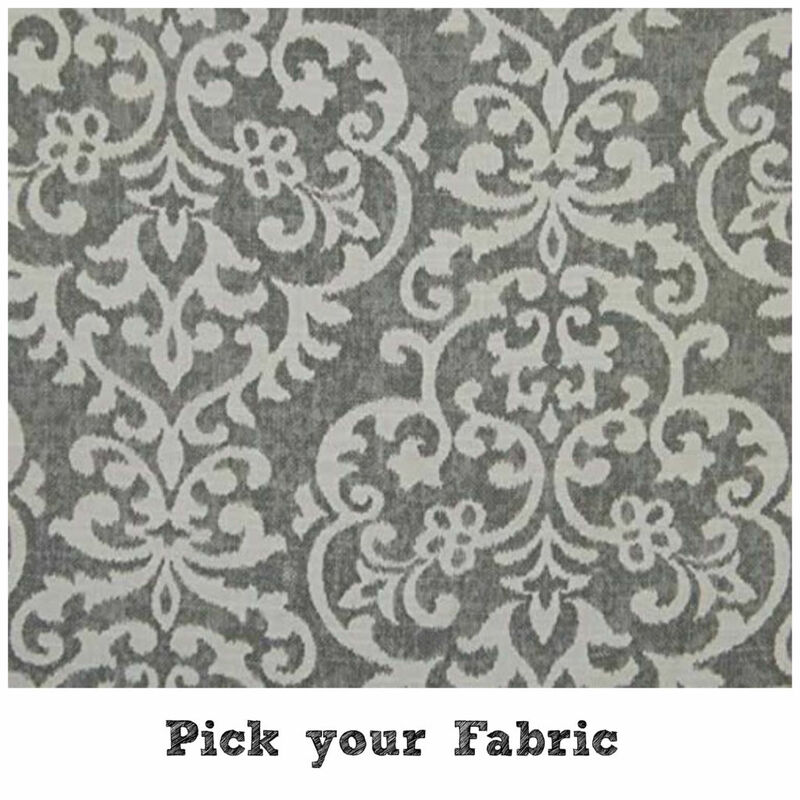 I thought it would complement the gray fabric nicely and go well with our elegantly country theme. 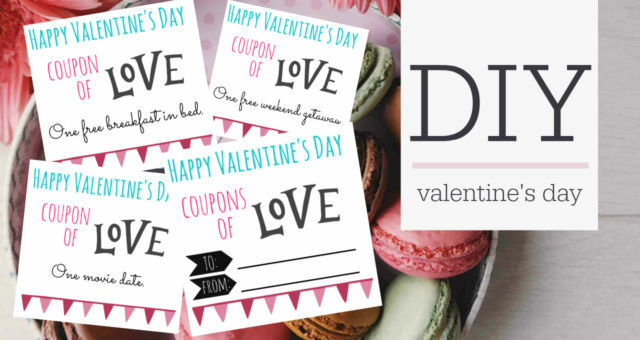 However, feel free to use ribbon or string if you choose. 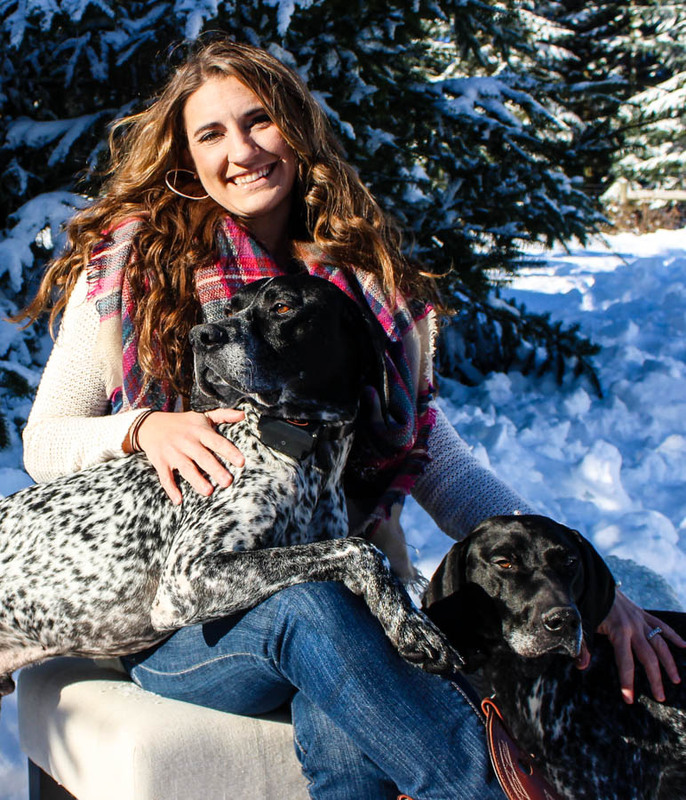 I cut mine at 44″ and tied them in a double knot. There you go! 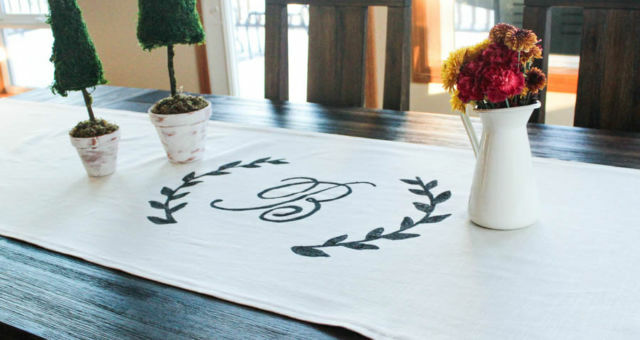 What a great addition to make the room feel more elegant and homey. 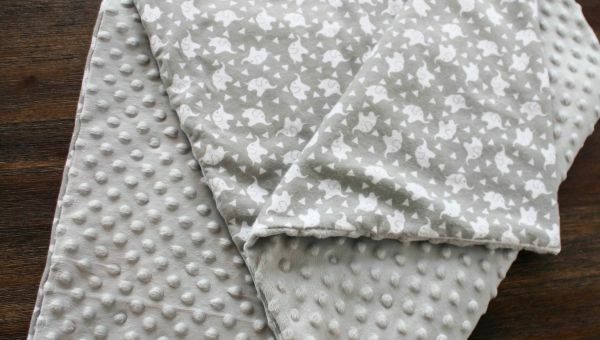 Get your fabric today and start crafting your beautiful DIY master bathroom curtains.